Who needs the Met Ball when the perfect heist has been right before our very eyes all this time? I’m speaking, of course, about stuffing as many pricy pairs of Lululemon leggings into a tote bag as possible, then just waltzing out of the store. Brown says the women were calm. They didn’t speak. They didn’t fight. They walked to the back of the store, scooped as many leggings as they could fit into their bags and then walked out. Cops said staying calm and doing nothing was exactly the right move by customers and employees. Originally the score was estimated at $10,000, but it’s since been revised upward to $17,000. 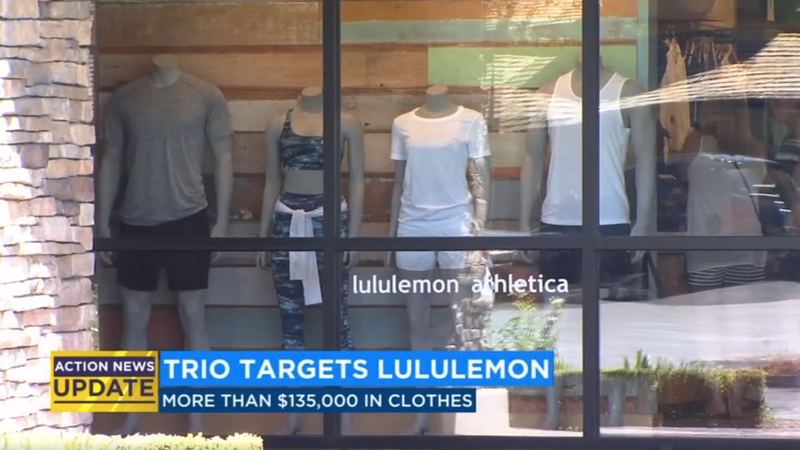 What’s more, the authorities think the heist was part of a full-on crime ring: “They believe it’s related to a crew that has hit Lululemon in the Bay Area,” said Lt. Joe Gomez; there was a similar incident at a Berkeley Lululemon on July 20. Whole lot easier to move hot (but ubiquitous) leggings than diamonds or—God forbid—art!